Oh Brian. Stupid, stupid Brian. You could have chosen any woman in the world, but you had to choose her. 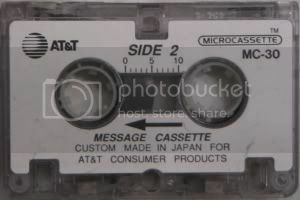 This is an answering machine tape I picked up for a nickel. It's unfortunate that there's only snippits of this argument on the tape rather than the whole thing, but I put them all together into one audio file. From the way she rubs it in, I'm pretty sure she's lying about it. Have a listen for yourself by CLICKING HERE! Yeah, I don't buy it either. He sounds more worried than she does about her being the process of MAYBE having a miscarriage. lol what a gassed up lying cow. Classical Gas Emissions Gets A Makeover!